Our resident staff team is made up of 4 full-time employees, but in the ministry of camp our work and personal lives often overlap. You will often find spouses or children working in and around the camp at all times of the year. It is a joy to have such a committed staff who have all been called to Bear Lake Camp for this season to serve as a team. Monty has been Director at Bear Lake Camp since 1992, when he was hired as BLC’s first full-time employee. During his tenure of leadership at BLC, Monty has seen God strengthening the impact of this ministry by expanding our summer camping program from 4 weeks to the present 8 weeks, implementing the Summer Staff and Service Crew program, the expansion of the Dining Hall, cabin renovations and other construction and renovations to the facilities, the birth of a vibrant community ministry, and the addition of two additional full-time staff positions – Camp Manager in 2000 and Program Director in 2013— and various part-time positions over the years. He can’t wait to see what God is going to do next and see more lives impacted for the Kingdom through BLC’s ministries. Monty, an ordained minister, holds a B.A. from Taylor University and an M.Div. from Winebrenner Theological Seminary. Monty and his wife, Janette, have four children; Ben (Karli), Abbey, Rebekah, and Caleb. 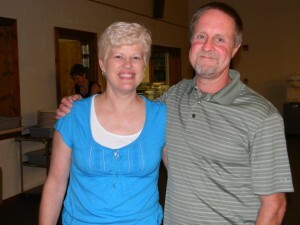 Janette is also very active in the camping, retreat, and community ministries at BLC. Tim came to BLC in 2000 and has guided the efforts to improve the camp’s facilities. Tim’s leadership and craftsmanship were instrumental in the expansion of the dining hall and renovation of BLC’s four rustic cabins. He is also responsible for the care of the grounds and other physical features of the camp. During the summer, Tim directs and mentors the young people working on the BLC Service Crew. Tim and his wife, Sally, are also vital to the spiritual leadership of Bear Lake Ministries, BLC’s community ministry outreach. In addition to being active in the leadership of this ministry, Tim teaches often and can be found leading worship on Sunday mornings. Tim and Sally have three sons; Brad, Matt, and Nathan. Tim received his B.S. in Business Administration from Geneva College in PA.
Ben has grown up around camp and has been a part of the summer staff in a variety of ways over the years. Ben's gifts in programming and leadership, as well as his in depth knowledge of a camp's inner workings make him a great asset for our team. He coordinates a large portion of the summer program in conjunction with our other resident staff. The addition of his position camesat a time when camper numbers were at record highs and will allow for the growth to be accommodated effectively. 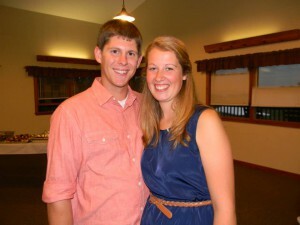 Ben and his wife, Karli, also partner with us in our community ministry, utilizing the gifts that God has given both of them. Ben received his B.S. from Taylor University in 2013. Jennifer is one those people whose job title does not encompass all that she does or means to BLC. From running our community youth ministry year round to managing registrations to training and mentoring summer staff, Jennifer does it all. More importantly, she does it all with excellence! While she never camped here, Jennifer served on our Summer Staff for 4 years and fell in love with what God is doing at BLC. After graduating from college in 2014 and being hired to primarily work with our community ministry, Jennifer has becoming an invaluable member of our team and has continued to add new responsibilities to her work. 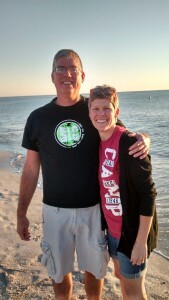 Her passion for camp ministry is contagious and we are thrilled to have Jennifer as part of the camp family! Jennifer loves everything outdoors, especially her hammock and her Chacos. 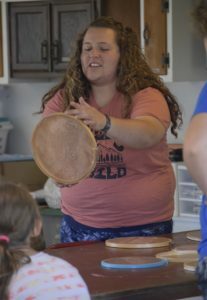 When she's not designing a new camp craft or planning camp events, you can often find her hiking, reading, or playing one of her 145,962 instruments. Jennifer graduated with her BA from Anderson University in 2014.